Ignorance is bliss, or so some would have you believe. For those who offer this up as sage advice, it is usually because they feel the other person is more comfortable not knowing facts than knowing them. In other words, what you do not know, cannot hurt you. The expression was very popular in the entertainment industry over the years. Punk rockers, The Ramones included a song with this title on their “Brain Drain” CD in 1989. Hip hop recording artist Kendrick Lamar included a song with this title on his “Overly Dedicated” CD in 2010. The BBC had a comedy quiz on radio from 1946 through to 1950 titled, “Ignorance Is Bliss” and in 2009, “House” had an episode with that title. If you aren’t aware of the phrase’s history, perhaps it’s because ignorance is bliss in some instances. Or perhaps not. This applies to all for notwithstanding our protestations of innocence, we know more than once. Remorse has tormented us and Conscience has compelled a plea of guilty — and usually we urge in extenuation our ignorance. Thus we see the fallacy of the oft quoted proverb “If ignorance is bliss ’tis folly to be wise.” Before quoting it again try to realize how utterly ridiculous and incompatible such sentiments are with truth. Ignorance is the handmaid of poverty, the companion of sloth, the paramour of disease, and the forerunner of dissolution and death. It is the weapon of the tyrant, the despot, the demagogue, and trickster. It has enslaved millions and still holds in bonds of serfdom countless thousands. IMPORTANT SIDE NOTE 1: Christopher C.P. Franciscus was a clerk of the New York Post Office as well as the president of the United National Association of Post Office Clerks. He was elected to the position in 1918. IMPORTANT SIDE NOTE 2: The United National Association of Post Office Clerks was organized in 1899, and was created by merging the United National Association of Post Office Clerks with the National Association of Post Office Clerks. IMPORTANT SIDE NOTE 3: The United National Association of Post Office Clerks was incorporated under the laws of Maryland on 25 January 1900 and its first president was Joseph P. Healy of New York City. The first national convention was held in Atlantic City, NJ from September 3 through 6, 1900 and saw 72 delegates representing 50 branches attend. The estimated membership at the time was 4,000 members. In an 1850 edition of the Punch, or The London Charivari magazine, the question “Where is bliss to be found?” was asked and answered. The poet who told us that “ignorance is bliss” was certainly right as far as pantomime bliss is concerned, for it would be much better to be ignorant of such bliss altogether. A walk through the “Halls of Happiness” after the curtain goes down, when clown is being released from the top of the pole, upon which his popularity has placed him, and the other heroes and heroines of the night descend from their uncomfortable elevation into the arms of the carpenters, while the fireman extinguishes the sparks still remaining with his heavy highlows, and prepares his hose for the night — such a ramble behind the scenes would afford sad proof of the emptiness of all theatrical felicity. Even English writer and social critic Charles Dickens (7 February 1812 – 9 June 1870) weighed in on the subject of ignorance being bliss. In Chapter VIII of “The Posthumous Papers of the Pickwick Club” where readers learned how Mr. Winkle shot at the pigeon and killed the crow, then shot at the crow and wounded the pigeon, and all manner of other interesting things, the expression is found. They drew near the house. The ladies were at the garden-gate, waiting for their arrival and their breakfast. The spinster aunt appears; she smiled, and beckoned them to walk quicker. ‘Twas evident she knew not of the disaster. Poor thing! There are times when ignorance is bliss, indeed. However, it was English poet, classical scholar, and Pembroke College professor, Thomas Gray (26 December 1716 – 30 July 1771) who wrote “Ode On A Distance Prospect Of Eton College” in 1742 that was published by English bookseller, poet, and playwright Robert Dodsley (13 February 1704 – 23 September 1764) in 1747 that say the first publication of the expression where ignorance is bliss, ’tis folly to be wise. In the end, ignorance isn’t really bliss unless not being in the know is somehow better. All that being said, ignorance is bliss dates back to 1742 thanks to Thomas Gray and all those who came after him. In some respects that is true. Even American entrepreneur, business magnate, inventor, and industrial designer Steve Jobs (24 February 1956 – 5 October 2011) was incorrectly identified as the person who first coined the phrase! However, the spirit of the phrase can be found in a number of variations. In 1875, French literary figure and theater director Jules Claretie (3 December 1840 – 23 December 1913) wrote a biography where he attributed a similar sounding quote to French jurist and politician Anselm Batbie (31 May 1828 – 12 June 1887). TRANSLATION: He who is not a republican at twenty compels one to doubt the generosity of his heart; but he who, after thirty, persists, compels one to doubt the soundness of his mind. While it might seem reasonable to declare the trail for this expression begins at some point in Anselm Batbie’s life, the fact of the matter is, there’s a quote even older than that one with the spirit of the saying in question. In 1799, John Adams (30 October 1735 – 4 July 1826) was quoted in a Thomas Jefferson (13 April 1743 – 4 July 1826) journal entry as having said this phrase that has been reworded so often. It was spoken in a conversation between Dr. Ewen and the President, and recorded in Jefferson’s journal. So while the CBC is technically correct in its assertion, fact checkers for Paul Kennedy’s radio program “Ideas” at CBC didn’t delve too deeply into the subject otherwise they would have attributed the spirit of the expression to the second President of the United States of America — John Adams. Idiomation has determined the roots date back to 1799. Did you know that even in hot weather, cucumbers are about 20 degrees Fahrenheit (11 degrees Celsius) cooler on the inside than the air around it is? Crazy right, but this is absolutely true, and was confirmed (thanks to a scientific study) in 1970. SIDE NOTE 1: The study was conducted by James M. Lyons and John K. Raison. Both the Plant Physiology Unit of the Commonwealth Scientific and Industrial Research Organization, Division of Food Preservation in Ryde (Australia) in conjunction with the School of Biological Sciences at the University of Sydney (Australia) oversaw this research which was peer-reviewed.What’s more, the American Chemical Society’s own scientists have confirmed that cucumbers regular body temperatures and help to avoid dehydration during heatwaves. So cucumbers keep you cool and refreshed and hydrated. Isn’t that amazing? Cucumbers, it would seem, are very cool indeed. Guess what else you might not know about cucumbers? They’re not vegetables. Cucumbers are fruit! This day Sir W. Batten tells me that Mr. Newburne (of whom the nickname came up among us forarse Tom Newburne) is dead of eating cowcumbers, of which, the other day, I heard another, I think Sir Nicholas Crisp’s son. SIDE NOTE 2: Sir William Batten (1600 – 1667) was an English naval officer as well as a Surveyor of the Navy. He was the master and part-owner of Charles of London by 1630, and sat in the House of Commons from 1661 to 1667. SIDE NOTE 3: Sir Nicholas Crisp (1598 – 26 February 1666) was an English Royalist who was also a member of Parliament from 1640 to 1641, a member of the Council of Trade beginning in 1660, and was made a baronet a year before his death in 1665. Beginning in 1625, he invested in a trading company known as “The Guinea Company” and three years later, he became a controlling stock holder. Back in the 17th century, cucumbers weren’t held in high esteem at all regardless of how one spoke of them. In fact, in the play “Cupid’s Revenge” by English dramatist Francis Beaumont (1584 – 6 March 1616) and Jacobean playwright John Fletcher (20 December 1579 – 29 August 1625), cucumbers were used to insult some lovely ladies in their play. SIDE NOTE 4: The play was written in 1607 or 1608, but was only registered into the Stationers’ Register on 24 April 1615. Getting back to Samuel Pepys and his diary entry: Sometime between the horrible pronouncement that cucumbers were responsible for the passing of Mr. Newhouse (and others) in 1663 and today, the idiom cool as a cucumber came into play in a positive way. But when (and how) did it stop being a felonious fruit to remake itself a good gourd? The first published version of cool as a cucumber meaning what it does today is found in the poem “A New Song of New Similes” by English poet and dramatist John Gay (30 June 1685 – 4 December 1732). John Gay is best remembered for his ballad opera titled, “The Beggar’s Opera” which was first performed on 29 January 1728. That being said, “A New Song of New Similes” began with these stanzas. Or like a March-hare mad. I love her still the better. SIDE NOTE 5: If “The Beggar’s Opera” sounds vaguely familiar to you it may be because it Bertolt Brecht and Kurt Weill transformed it into “The Threepenny Opera” (originally written as “Die Dreigroschenoper”) in 1928. People have been as cool as cucumbers since 1732 thanks to John Gay. That being said, some real life cool as cucumbers criminals are responsible for some humorous moments. Such moments include one from 2014, when German authorities a shipment of drugs worth $56.28 million USD (€50 million Euros) headed to Iran from Germany. The drugs were being smuggled in jars of pickles so it could be said that the both the drug smugglers and the drugs found themselves in a pickle. When someone is bold as brass, it means they’re confident to the point of being impolite and disrespectful, and sometimes beyond that point. In the Daily Mail edition of June 4, 2016 the Tatler Tory Scandal was the subject of the article, “Tatler Tory’s Threats At Baroness’s Carlton Club Drinks Party.” Written by the Political Editor for the Daily Mail, Simon Walters, it addressed the claim that David Cameron’s election aide, Mark Clarke, had, among other things, caused an uproar at a party hosted by Baroness Pidding on September 7, 2015. The idiom was used by in the quote from Paul Abbott, the chief of staff to former Tory Party Chairman Grant Shapps. Part VII of “The Baby’s Grandmother” by Scottish novelist L.B. (Lucy Bethia) Walford (17 April 1845 – 11 May 1915) was published in the Edinburgh Monthly Magazine (Volume 135) of April 1884. Ms. Walford wrote forty-five books, most of them light-hearted domestic comedies, including this one. The idiom was used Part VII as follows. Just as with the word cattywampus, the idiom bold as brass was used in Charles Dickens’ book, “The Life and Adventures of Martin Chuzzlewit.” Chapter 27 (where the idiom appears) is prefaced with this statement: Showing that old friends may not only appear with new faces, but in false colours. That people are prone to Bite, and that biters may sometimes be bitten. George Parker’s book “Life’s Painter of Variegated Characters in Public and Private Life” published in 1789, appears to be the first published example of the idiom. In the 1570s, a person who was without modesty and who showed no shame for bad behavior was called brass. Boldness wasn’t included in the description of such a person, but obviously someone without modesty and without shame would be perceived as being bold in their bad behavior. What this means is that for at least two hundred years, some people were bold as brass but it wasn’t expressed that way in print until 1789. When a very small event or situation is made out to be much more than what it is, don’t be surprised if someone mentions it’s a tempest or a storm in a teacup or a teapot. Over the decades, many have said this when a huge commotion over an unimportant matter has happened. Just last week, on April 22, 2016, the American Thinker website published an article by David Solway titled, “Distrust Yourself Before You Distrust The Candidate.” The substance of the article had to do with how political candidates have their public profiles created to fit the demands of the voting public to which they wish to appeal. The writer made several excellent points, including this one which included the idiom. The Michelle Fields controversy is an excellent example of how the media and the pundits have inflated a tempest in a teacup to tsunami proportions. When English writer, literary historian, scholar, critic, and wine connoisseur, George Saintsbury (23 October 1845 – 28 January 1933) published “A History of the French Novel (to the Close of the 19th Century), Volume I” in 1917, he included tempest in a teacup in Chapter XII which discussed minor and later novelists circa 1800 with specific reference to Jane Austen’s novels. All the resources of typography — exclamations, points, dashes — have to be called in to express the generally disturbed state of things. Now unfortunately this sort of perpetual tempest in a teacup (for it generally is in a teacup) requires unusual genius to make it anything but ludicrous. The July 1903 edition of “Slang and Its Analogues Past and Present: Volume VII, Part I” compiled by John Stephen Farmer (7 March 1854 – 1916) included this definition for the idiom. 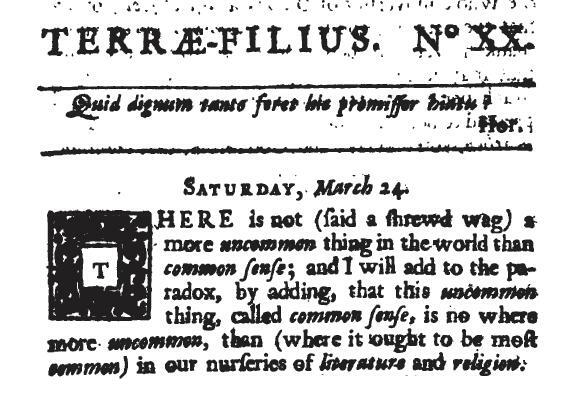 IMPORTANT NOTE 1: The entry attributed the basin of water quote to the “Dissertation upon the Epistles of Phalaris” by English scholar, critic, and theologian, Richard Bentley (27 January 1662 – 14 July 1742) published in 1699. In Volume 8 of “The Solicitors’ Journal and Reporter” published on in London on October 29, 1864 included an article on the subject of the alleged bankruptcy irregularities in Birmingham. The question arose as a result of a news article that had been published in the Birmingham Daily Post. If the alleged malpractices at Birmingham and elsewhere resolve themselves into a disputed question of law, we would like to ask those who have raised this “tempest in a teacup” whether they propose that any, and what, compensation should be awarded, and from what fund, to those who have now for some months been suffering under unjust imputations. The Merriam-Webster dictionary puts the first known use of tempest in a teapot to 1838 without attribution. In researching the expression, Idiomation was able to find even earlier published versions of tempest in a teapot. On August 30, 1820 the Connecticut Gazette ran an anecdote from the late British lawyer and politician, Edward Thurlow, 1st Baron Thurlow (9 December 1731 – 12 September 1806) who was Lord Chancellor from 1783 to 1792. The anecdote was about an alleged calamity to Britain that was to have dire effects on the Church and State. When it was revealed where this calamity was happening, the punchline was,”A tempest in a tea-pot.” The anecdote is one that was published even earlier, in 1815 in “The Flowers of Wit, or A Choice Collection of Bon Mots Both Antient and Modern: Volume I.” Based on this, the expression was understood in 1815, and the anecdote was most likely crafted during Baron Thurlow’s decade as Lord Chancellor, putting this to the mid 1780s. The practice of drinking tea was introduced in England in 1644, after being the practice in France the previous decade, with the Dutch being the chief importers of tea leaves in the 1610s. The word tea-cup came into vogue in 1700, so it’s safe to assume that the idiom tempest in a teacup didn’t exist before 1700. There was the sense of the saying published in Volume 27 of “The Collections of the Illinois State Historical Library” published in 1749 where the following was written. When Holdernesse revealed it to him, Pitt affected to believe that Newcastle was trying to negotiate behind his back: a teapot tempest brewed, despite Newcastle’s asseverations that he regarded it as but a jest. Idiomation was unable to find an earlier published version of the exact phrase tempest in a teacup earlier than the 1815 reference. 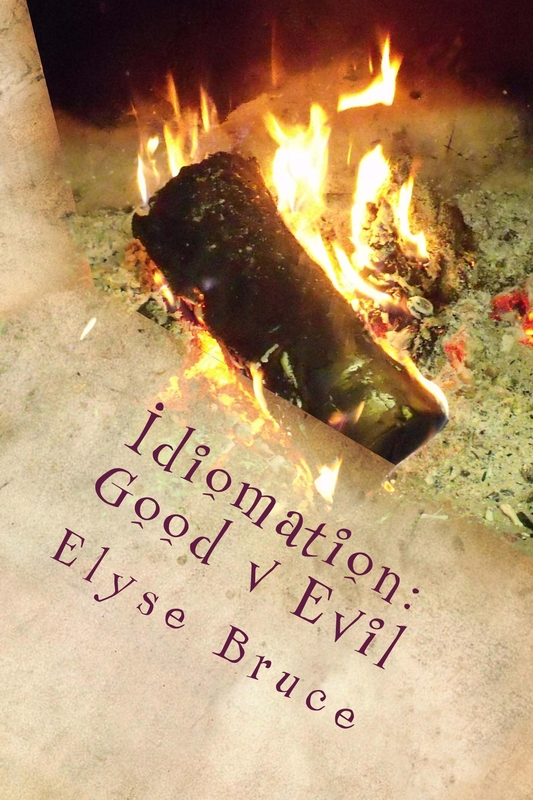 However, between the spirit of the idiom being used in the 1749 document and the anecdote dating back to the 1780s, Idiomation therefore pegs this idiom to the 1760s — halfway between 1749 and 1783. 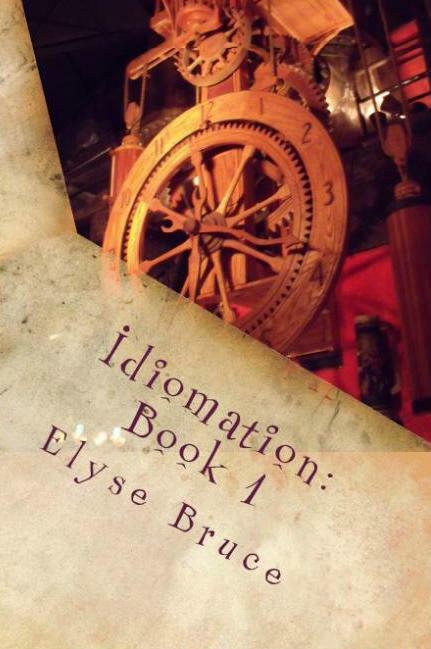 Until recently, Idiomation wasn’t aware of the idiom that proclaimed that many a mickle makes a muckle. As the idiom was researched, it was learned that mickle and muckle are different forms of the same word meaning much or large. The saying is actually many a pickle maks a mickle, which some mangled into many a pickle maks a muckle. This in turn became many a mickle makes a muckle. But what exactly did it mean to use pickle in this sense if mickle meant much or large? In Scotland, where the idiom originated, pickle meant a small quantity. So the idiom actually meant that many little things gathered together made for a lot. On February 13, 1985, the Wilmington Morning Star published the usual assortment of Letters to the Editor. The first letter was from Henry Stone Jr. of Supply, North Carolina. The focus of the letter was military spending, or rather, military misspending. In his letter, he pointed out that when ten million in military spending couldn’t be accounted for, it was understandable given that ten million was only one half of one hundredth of one percent of the $200 billion budget. But it was still ten million dollars of taxpayers’ money. His last sentence was modified and became the headline for the Letters to the Editor that day: Many A Military Mickle Makes A Muckle. In the May 20, 1916 edition of the Milwaukee Journal a small tidbit of information was tucked neatly between comments about Germany, and the House Committee’s decision to authorize seven capital ships (three dreadnaughts and four battle cruisers), and an OpEd piece by H. Addington Bruce discussing the drawbacks of being a dilettante. The nugget praised France for making the most of little things, and was titled, “The Power Of Little Things.” The article ended with this paragraph. Many a mickle makes a muckle, but America has just begun to learn the lesson. Many a small waste added to the great current makes a vast drain of hundreds of millions of dollars. France, above all nations, can teach us the undreamed power of little things combined into stupendous wholes. For those who prefer George Washington’s variation, many mickels make a muckle dates back to George Washington and 1793. For those who prefer Benjamin Franklin’s variation, every little makes a muckle dates back to Benjamin Franklin and 1732. It’s not every day that an idiom has as illustrious — or as convoluted — a history as the one that’s part of under your hat. When someone tells you to keep what they’re sharing with you under your hat, they expect you to keep their confidences and not betray their secrets. Back in 1732, under the reign of King George III, Britain levied a tax against American colonists in the form of the Hat Act. Great Britain outlawed the manufacturing and exporting of hats in the colonies and made it illegal to engage in inter-colonial sale of hats. Hats were imported from Britain and were subjected to a heavy tax. This is an important bit of history to keep under your hat while the rest of the story unfolds. The Reading Eagle newspaper edition of February 10, 1980 ran a column about photography that was authored by Holt Confer titled, “Keep It Under Your Hat.” Holt welcomed non-technical questions and column suggestions from readers, but this column while serious, also kept everything light. The first two paragraphs clearly set the tone for the column. I’ll have to admit “Keep It Under Your Hat” is a strange name for a photography column. If you take a quick glance at the two photographs, the title will become a bit more relevant. And if I tell you a few more “secrets” about photographic exposures (“secrets” I don’t mind if you pass along) then the title will be a lot more relevant. During WWII, while the Americans ran with the campaign slogan that warned loose lips sank ships, people in the UK had their own slogan from 1940: Keep it under your hat. The campaign addressed every class — from working class to upper class — and drove home the point that anything a person knew, whether they thought it was important or not, was a danger to the men on the front lines if it what they knew was talked about. In April 1925, the California Melody Syncopators released a 78 RPM record on Clover Records. The song was entitled, “Keep It Under Your Hat.” It was a re-release of the 1923 hit for the California Ramblers that was written by Eddie Cantor, Charles Tobias, and Louis Breau. It was in Volume 20 of “Gleaning In Bee Culture” that the term was used in response to Chas. Israel’s Letter to the Editor dated New York, September 30, 1892. The author of the letter had read an article on honey adulteration written by Professor Cook, and he was concerned over a new law that went into effect on September 1, 1892 that addressed the issue of adulterated honey and maple sugar. The matter of grades of honey, and feeding bees glucose to make their honey all that much sweeter, was also an issue, and he dragged Mr. W.J. Cullinan of Quincy, Illinois into his worries. And finally he references the “American Analyst” edition of June 18, 1892 where it was mentioned that some of the most reliable dealers of honey in the United States was selling adulterated honey! The response from the Editor included this passage. We know of just one who did do it, as above-mentioned, and possibly there may be a few others; but their number, as compared with honest honey-producers who feel aggrieved and injured because of the mixing on the part of the city chaps is as nothing. Now, if we are wrong in our assumption — and possibly we are — we want the brethren everywhere to speak right out. If you do not wish to have your name as informant mentioned in connection with the matter, nor any thing done about it at all, say so; at any rate, tell us where you know of a producer who is engaged in the mixing business, and we will keep it “under our hat” if you say so. The old grandmother crooning in the corner and bound to another world within a few months, has some business or cares which are quite private and her own — very likely she is thinking of fifty years back, and that night when she made such an impression, and danced a cotillon with the captain before your father proposed for her: or, what a silly little over-rated creature your wife is, and how absurdly you are infatuated about her — and, as for your wife — O philosophic reader, answer and say — Do you tell her all? Ah, sir — a distinct universe walks about under your hat and under mine — all things in nature are different to each — the woman we look at has not the same features, the dish we eat has not the same taste to the one and the other — you and I are but a pair of infinite isolations, with some fellow-islands a little more or less near to us. French chronicler Jean de Vennette (1308 – 1370) wrote that the British soldiers at the Battle of Crécy in 1346 protected their bows by putting the strings on their heads under their helmets. At the time of the Battle of Crécy (26 August 1346), the preferred bow for military purposes was the longbow. The bow-staves were a single piece of straight-grained yew, and unstrung, the bow was six feet long and tapered. Bow strings were waxed and oiled to keep them weather-proof and flexible. While it’s true that the bowmen kept their strings under their helmets, it was no secret about where the bowmen kept their strings, and keeping strings dry isn’t the same as keeping secrets. It is highly unlikely that keeping something under your hat has anything to do with the Battle of Crécy or bowmen. By a sudden stroke of conjuration, a great quantity of gold might be conveyed under his hat. The dictionary defines conjuration as an illusory feat that could be considered magical by those who were unfamiliar with the trickery. In other words, hocus pocus, legerdemain, prestidigitation, sleight of hand. If one was adept at conjuration, there was considerable money to be made as long as the secret of the magic involved was kept locked up inside the person’s head which, of course, back in the day, would have been covered by a hat. This indicates that the early beginnings of keeping information under your hat cropped up in the early 1750s, twenty or so years after the Hat Act of 1732. Whether the idiom is as a result of John Hawkesworth’s writings or the Hat Act of 1732, Idiomation pegs the expression to the mid-1700s. Of course, if any of our readers know differently, please share in the Comments section below. 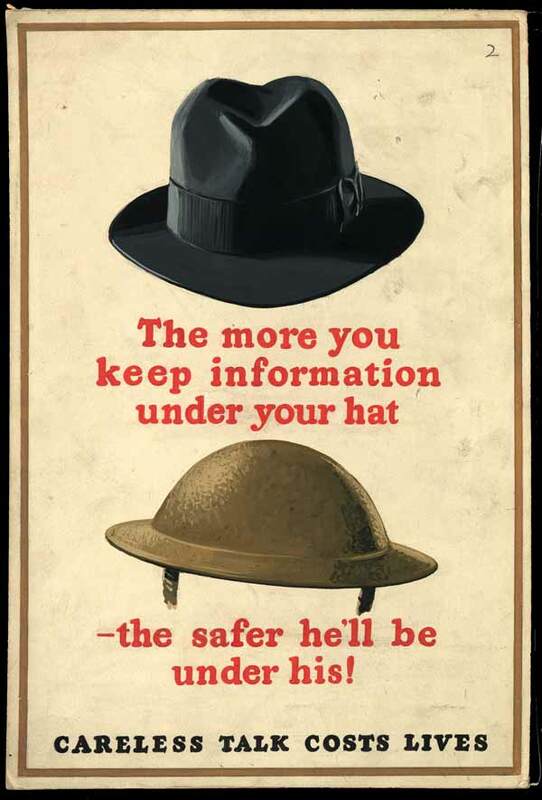 After all, there’s no reason to keep that information under your hat, is there?